In the field of animal care, perhaps the busiest part where research and studies are concerned is finding the most effective way of controlling ticks. Ticks are known to cause diseases not only to cats, dog or other animals but to humans too. With so many products made available to fight ticks, what do you do to make a tick product comparison? Ticks, like many other pests, can also evolve to become resistant to second-rate anti-tick products. With so many tick species in the world, it is no wonder why experts tend to focus on how they can be controlled with anti-tick formulas. 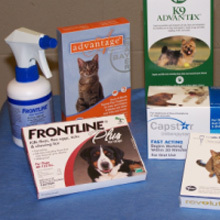 As a result, there are many tick control products offered in the market. Making the right choice on a particular brand or formula that would do a good job on your dog or your cat or as a home or yard treatment could be a tough one and ticks could be a nightmare to your pets and to you. To do a solid comparison, there are a few things to establish before you wade through the many products available. As you read, gather or research information relative to anti-tick products, compare the results so you can successfully determine which one to purchase. Some product labels would say it is for both cat and dog use but determine on what pet you are going to use the product. One product may be suitable to dogs but not for cats while some may work for both but not as effectively. Make sure that the product you are considering is formulated to treat your dog or cat which may depend on breed, age, built, etc. Some products may not be suited for very young animals. In doing a tick product comparison, consider too what you need to treat: your animal or your surroundings? Products that can kill ticks on dogs or cats may not work as effectively when used as yard or property treatment. The most important thing you need to consider is allergic reactions. You might need to find out with your vet first if your dog or your cat has any allergies to any of the components of a certain tick product. Manufacturers naturally label their products accordingly to make that sale but it is best that you do your own research so that you make the right selection. Once you have are able to do a tick product comparison, no manufacturer will easily lure you into buying what the product label says at face value. As if the many forms of treatments available in the market are not enough to confuse you, there is also the choice between natural and chemical treatment to consider. Your dog may seem okay with the component of one product but may not be able to tolerate it in a longer treatment course. It is a case to case basis but again, there is no need to fret because there are many options available. This is what the experts made sure in their aim to make the lives of pets better hence the abundance of anti-tick products. The reason why it is recommended that you do a tick product comparison is to be sure you will use what is going to be certainly effective against ticks but will not harm your adored pet. Tick collars – look for a one that is specific to kill ticks at any stage – eggs, larvae, nymph or adult. Sprays – some sprays are effective to treat pet areas as well as the yard and other surroundings but may not be safe to use directly on pets. Dips and shampoos – study the components of such products as they may not do your pet’s skin or fur any good. While you aim to get rid of ticks, you don’t want to get rid of your dog’s beautiful coat in the process. Look for products that protect the skin and fur while eliminating ticks such as those containing aloe vera. Topical and oral medications – with tick product comparison, you can find oral medications that can get rid of ticks in less than 24 hours but will not upset your pet’s stomach. Topical treatments are another convenient option such as those formulated as once-a-month-application. Anti-tick powders – some of these products can kill ticks instantly but may be inconvenient to use because application can get a bit messy. Keeping ticks away from your place and off your pets is a regular thing that you must do without fail to win the battle against ticks on top of a good prevention program. The correct anti-tick product could help you achieve success. Since not all products are created equal, your homework is to do a tick product comparison to make sure you are not getting the wrong treatment for your pet and thus help you know what in particular to look for before a purchase. For a quick guide, you may also see comparison charts that are available online for free.